Other than skin cancer, it has been noticed that prostate cancer is the second most common cancer among adult men. Unfortunately, the numbers for prostate cancer keep growing and growing each year, so far there have been approximately 161, 000 new cases of prostate cancer in the U.S.A for 2017. And although there are quite a few successful treatment options that can cure prostate cancer, there are still huge numbers of deaths caused by this exact reason. 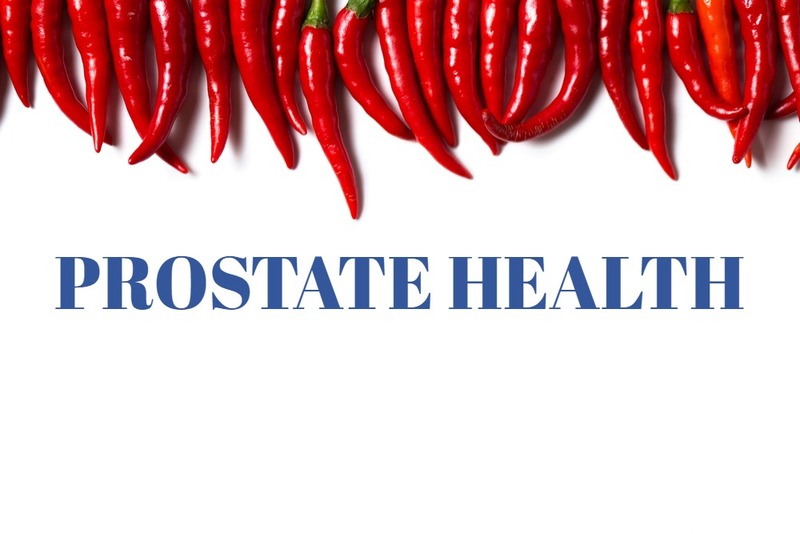 These numbers only show that most of the men tend to forget about the importance of their prostate health. When you think about it, it is not hard to take care of your prostate. But most importantly, what you must not do is avoid taking care of your prostate. Especially when we are talking about a man in his old age and with a family history that includes prostate cancer. Which is why we are going to share some tips on how to preserve your prostate in good health by eating eight amazing superfoods as a part of your daily diet. Sounds unbelievable? Let’s just see what this is all about! How about you start adding more tomatoes to your daily diet? Why? It is because of the fact that tomatoes contain a very powerful antioxidant known as lycopene. Lycopene has been believed to have the power to not only prevent prostate cancer but also to shrink the tumor growths within men who are fighting prostate cancer. The secret is within the lycopene power to decrease cell damage and to slow the cancer cell production in the human body. However, it is considered that our body experiences difficulty when trying to extract the lycopene from the cell walls of the fresh tomatoes. This is why it is recommended to try and use more cooked or pureed tomatoes. 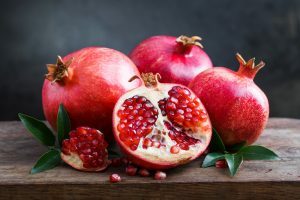 Believed to prevent chronic diseases which are related to oxidative stress, the pomegranate is considered to be a miracle food, especially its juice. Why do you ask? It is because of the huge amount of antioxidants that are contained in the pomegranate juice of course! What the researchers suggest is that the antioxidants in this juice work by finding and then destroying the prostate cancer cells within the body. And although more research needs to be done, this sounds good enough for us to try. The Omega-3 fatty acids already have a huge impact on our health. And as it turns out, there is nothing that these fatty acids cannot do! Research published in the American Journal of Clinical Nutrition has confirmed the power of the Omega-3 and Omega-6 fatty acids, which by the way cannot be sanitized in the body, it can be only introduced to the body by food, in the process of preventing prostate cancer. You might not like eating broccoli, but that does not change the fact that they are healthy and as it turns out, have the power to keep your prostate in a perfect state. It is suggested that there is an actual link between the eating of cruciferous vegetables like the broccoli is and the risk of prostate cancer. Supposedly, a compound found in the broccoli, known as sulforaphane, has the power to kill the prostate cancer cells as they are created. It is believed that when consumed in large amounts, the soybeans have the power to prevent and reduce prostate cancer. The same goes for chickpeas and lentils since all of them contain a lot of healthy proteins. 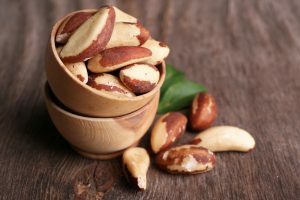 Containing high amounts of selenium, which is a mineral that is essential for a healthy prostate, this earns the Brazil nuts their place on this list. Not to mention the fact that these nuts also contain high amounts of zinc and all the amino acids that also have a great role in preserving your prostate in a great condition. A compound known as capsaicin is contained in great amounts in the chili peppers. This compound is known to have the ability to reduce pain, but as it turns out, it also has the ability to prevent and treat prostate cancer. So the only question here is – do you like eating spicy food? Compared to the rates in Asia, the rates of prostate cancer are much higher when compared. And some researchers tend to believe that the secret is in the amount of green and black tea that the population of Asia drinks every day. Yes, it does sound and look scary to have to deal with prostate cancer. However, it is not like you cannot do anything to prevent it, right? As we have learned, reading the previous article, you can start increasing your chances against prostate cancer by simply introducing these eight superfoods into your daily diet. These superfoods include tomatoes, green tea, Brazilian nuts, chili peppers and much more. So why not give it a try and prevent the chances to become another a new case of prostate cancer that will be evident this year?